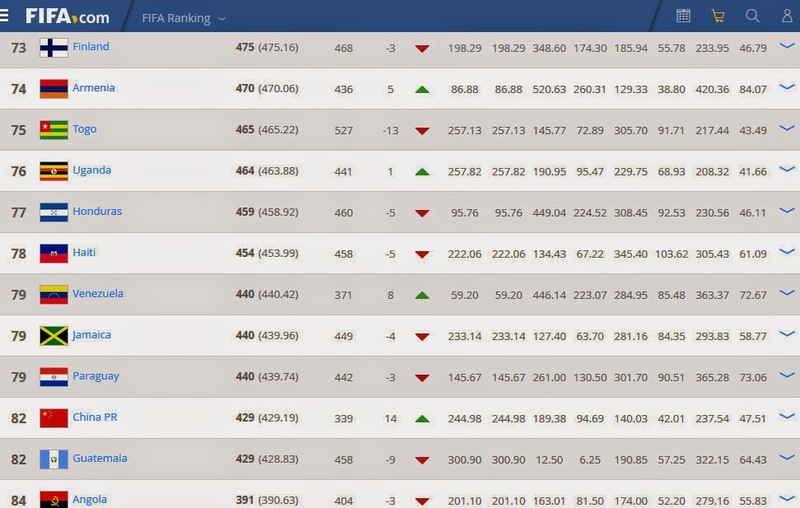 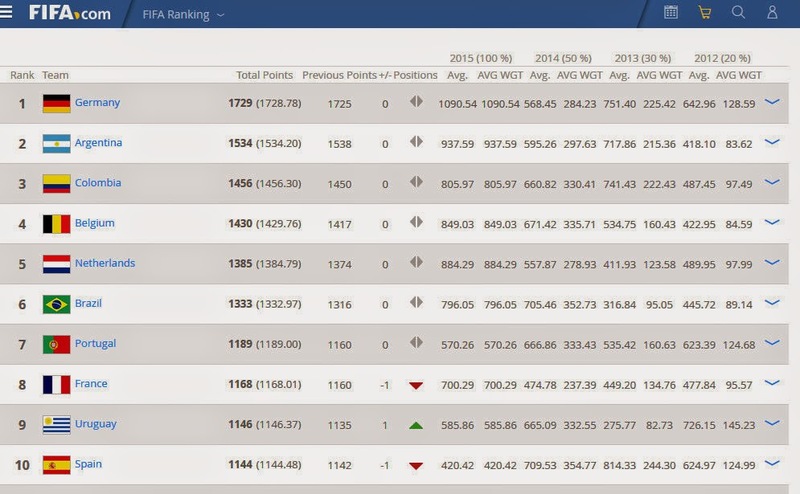 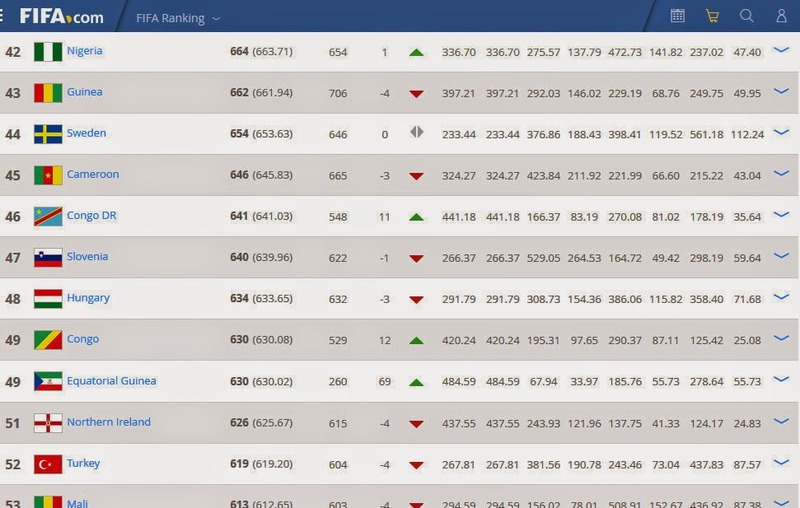 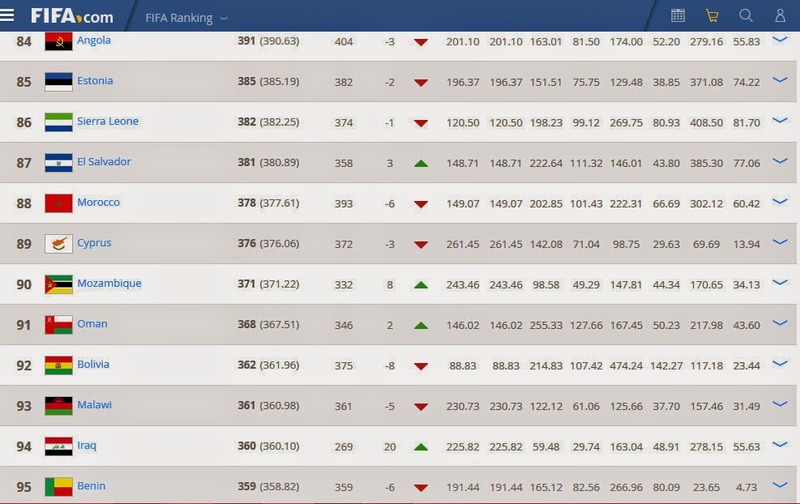 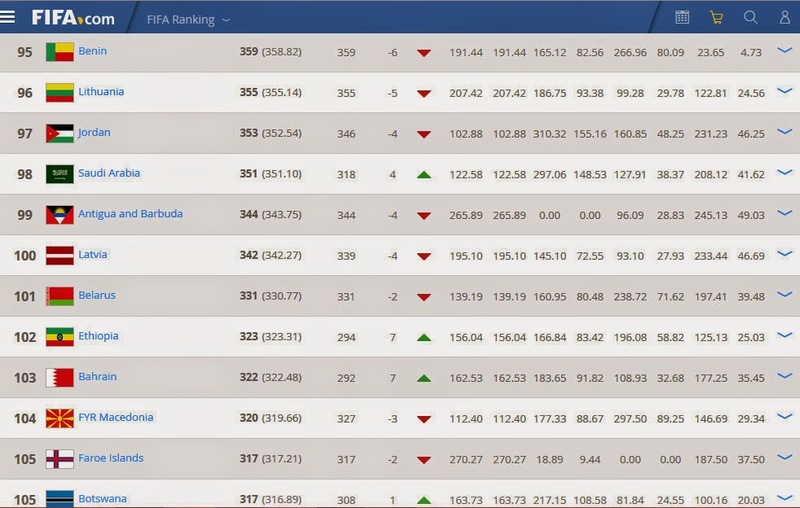 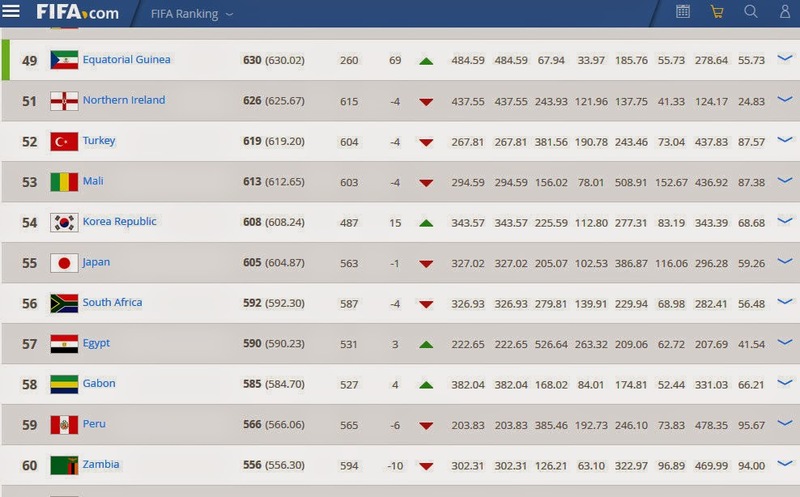 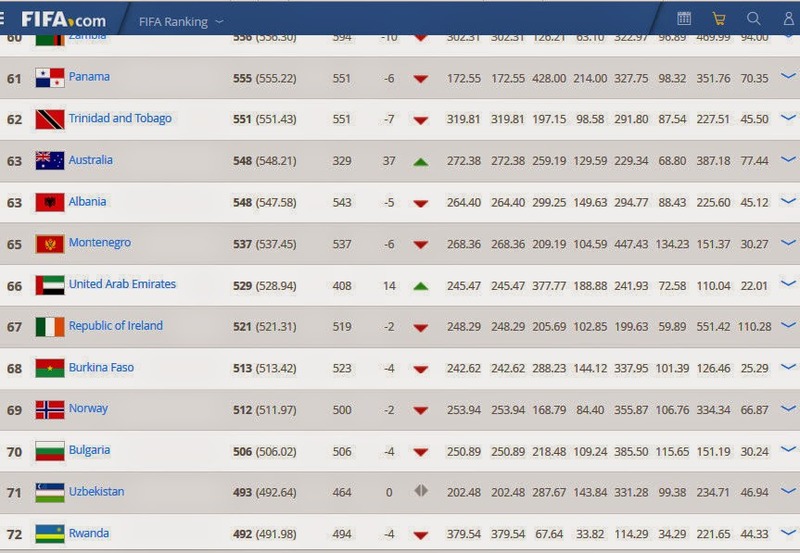 Nigeria's male football team, grabbed the 42nd spot in FIFA's latest football rankings. 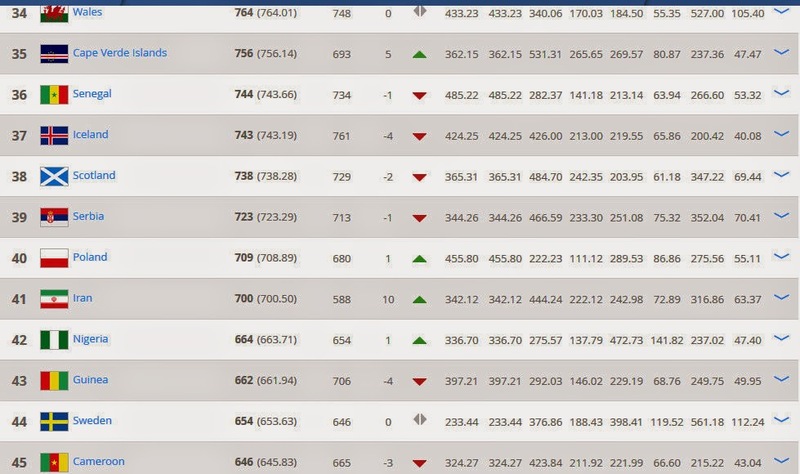 Algeria is the highest ranking African country at 19 while the the country at the number one spot in the world is Germany . 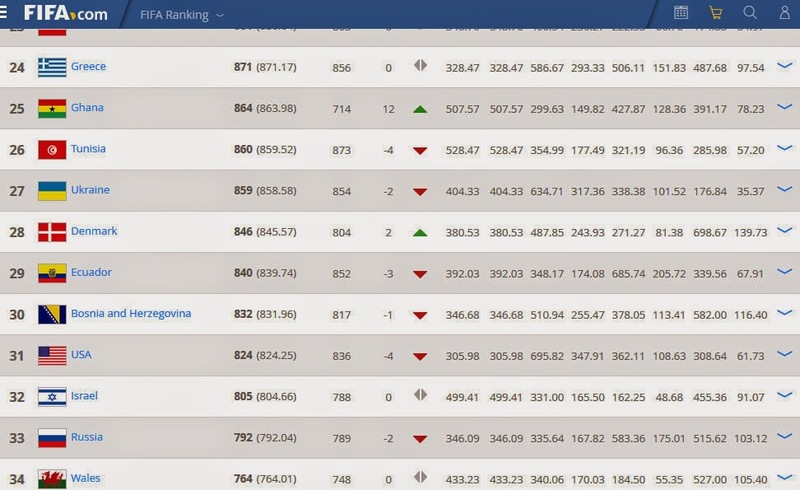 Argentina is at number 2. 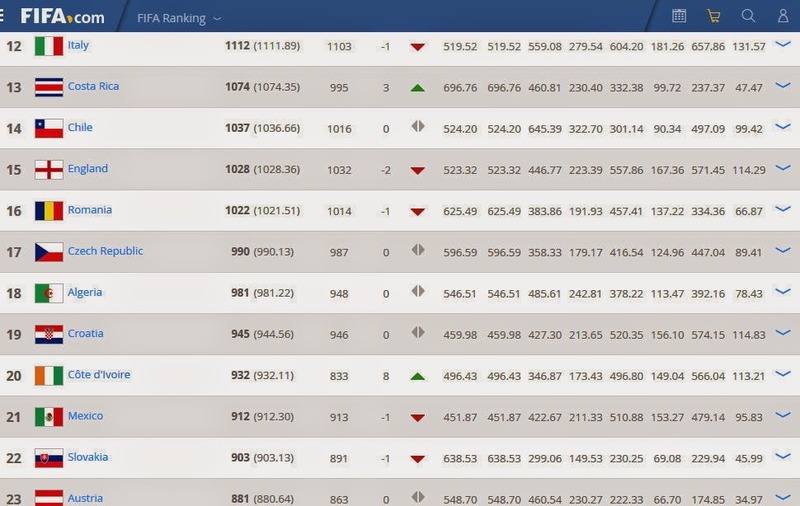 Check out other countries here.